Ever wonder why recording artists appear to abandon the path created by a great album after it debuted with a strong first release? I'm not talking about one hit wonders. I'm talking about an album with substantial airplay, decent reviews and worthy sales. Then after that, nothing, no follow-up album, done, it's over, finished. My point is, with successful results coming-in, aren't they supposed to have a follow-up album to sustain their career? It makes you want to scratch the top of your head and wonder why. Yet many factors enter into the yielding of a sophomore release. The reasons behind those glaringly suspicious enigmas can range from a litany of issues. As you have it, I guess some situations that appear perfect...might not be so perfect. With that being said, I wanted to write a piece about the good old days of Rock Music and toss-in my two cents with an observation regarding single album efforts. As a former member of the all-powerful 'Star Maker Machinery' I have decided to post a story dedicated to all those special albums appropriately titled....ONE AND DONE. The 1986 A&M release of David & David's "Boomtown" is beyond a doubt the finest album release that never received a follow-up. Radio loved these guys as their album was played coast to coast. Packed with radio friendly songs like, "Welcome to the Boomtown" "Swallowed by the Cracks" and "Ain't so Easy," these two veteran L.A. session men seemed to have it all together. A well produced album, excellent songwriting and solid production plus the all important ingredient of label support. Their music was so good that I even purchased their live radio broadcast from 1987 that was being featured recently on Wolfgang's Vault. 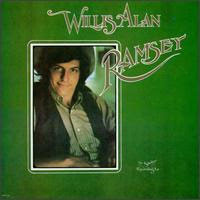 Willis Alan Ramsey's self titled debut album ranks #2 in this impartial survey and after one listen you'll understand why. This gifted singer-songwriter from Austin takes you on a musical journey that covers vast subjects combined with splendid arrangements. Released on Leon Russell's now defunct Shelter Records, Willis Alan Ramsey is widely considered an early front runner in the Country Rock movement. Ramsey's songs were covered by many artists such as Captain and Tenille, Jerry Jeff Walker, Shawn Colvin and Jimmy Buffett. This album ranks a five star rating and is a must for every one's personal library. 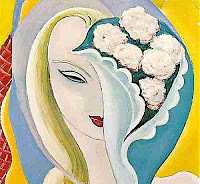 "Layla" by Derek and The Domino's was a classic studio effort by Eric Clapton shortly after departing local band sensation Delaney & Bonnie and Friends. Plus, Clapton ended up taking D&B's entire rhythm section with him to form this band. The story gets even better as Clapton is joined with guest artist Duane Allman in recording this phenomenal album. Throughout this recording Duane Allman boldly trades unparalleled guitar licks with old' Slowhand himself. Released in 1970 with moderate reception, the Atlantic Records promotion staff spent two years of dedication in delivering a gold record. The album was engineered by legendary producer Tom Dowd. Though Clapton and Allman continued with numerous individual recording projects, Derek and The Dominos never had a follow-up release. What a shame there wasn't a follow-up to this monster. 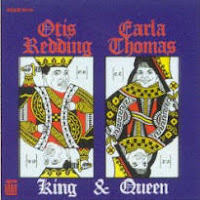 Otis Redding and Carla Thomas series of duets on their "King and Queen" album on STAX was hands down the strongest collaboration of two Soul artists at the apex of their careers. Released in 1967, "King and Queen" featured an excellent version of Lowell Fulson's "Tramp" and the Ahmet Ertegun penned "Lovey Dovey." The STAX in-house rhythm section consisting of Booker T. & The MG's and The Memphis Horns helped make this album a classic. Yet, shortly after release, Otis Redding's premature death caused by an accidental plane crash put an end to this talented singing duo. Lindsey Buckingham and Stevie Nicks lone album on Polydor Records released in 1973 produced the album radio classic song titled "Long Distance Winner." Very hard to locate and often found as a bootleg, Buckingham Nicks stands-up to today's modern Rock. Prior to Stevie Nicks and Lindsey Buckingham joining Fleetwood Mac in 1975, this Buckingham Nicks debut album set the stage for their future as it showcased their vocal harmonies and guitar riffs which would be featured for years on many great Fleetwood Mac albums. Surprised? Never heard of this album? Michael Kamen's "New York Rock"on Atlantic (Atco) Records was literally packed with song after song that had the listener leaning back in their seat in awe of it's solid production and beautiful lyrics. 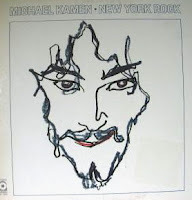 As an offspring of the noted "The New York Rock & Roll Ensemble," Kamen's solo album would be over shadowed in a release schedule that included all the label's biggest acts. 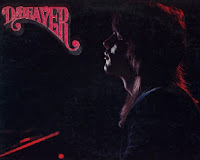 If you are fortunate enough to locate a copy of this jewel, it is highly recommended but only available in used vinyl. Michael Kamen did survive the pitfalls of his solo career and ended-up conquering the charts as a producer of major acts and also a composer of numerous blockbuster movie soundtracks. No surprise here. Blind Faith's self titled album was unfortunately a one shot deal. That's too bad because Stevie Winwood's soulful voice and Eric Clapton's tasteful guitar produced Rock radio staples like "Had To Cry Today," "Presence Of The Lord" and "Can't Find My Way Home." 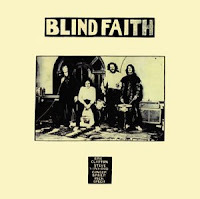 Recorded in a hastened atmosphere as to accommodate their record company's strict deadline, the Blind Faith album could officially be considered as a studio jam session as their time as a group was short lived. Yet, their album is by far one of the most influential Rock albums of all times. Similar to the album listed above by Michael Kamen, even blog editors are entitled to have their very own favorites. And this is a darn good album too. In 1991 EMI Records released a debut album on new group called Glamour Camp. Possibly considered in a musical category of Glam Rock, this album displayed overtones similar to Brian Ferry & Roxy Music. Plus, it also sounded like classic Bowie and also maybe even The Cars. Why do I mention The Cars? That's because Glamor Camp's band member Chris Otcasek's dad is none other than The Cars Rick Otcasek. That aside, it's still a solid album. Unfortunately, the band broke-up just as the album was being released. 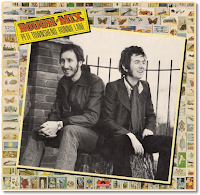 I might be showing my age on this one but "Rough Mix" by The Who's guitarist Peter Townsend and The Faces' Ronnie Lane is a solid effort with no follow-up. Released on MCA Records, the label apparently didn't know what they had on their hands at the time. Released in 1977, the album produced strong songs like "Street in The City" and "Heart To Hang On To" that could propel the album with the coveted mass appeal. 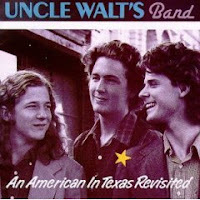 If you've never heard of Uncle Walt's Band, you're not alone. Reason being, this LP was released on an obscure record label with no apparent promotion budget. What does that mean in common terms? Means that you'll never hear of this band unless some left field blogger puts them on his "One And Done" list. Truth is, Champ Hood, David Ball and Walter Hyatt formed Uncle Walt's Band and they were potential superstars. Hailing from Austin via hometown Spartanburg, S.C, the band stumbled into Memphis when I tried desperately to sign them to STAX. But it wasn't a good match and they soon ventured on into Nashville. Vocalist Lyle Lovette had them open for several of his shows but the trio later broke-up and splintered into songwriting and session work. 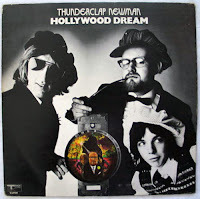 Thunderclap Newman's "Hollywood Dream" was just that. Released on Atlantic Records in 1979, the album featured the U.S. hit song, "Something In The Air." Popular in the British Isles but the group couldn't hold sustaining power in the U.S. Thunderclap Newman's album was produced by The Who's Peter Townsend. 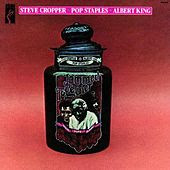 "Jammed Together" by Steve Cropper, Pops Staples and Albert King. This album came from the famous STAX 27 album release schedule. 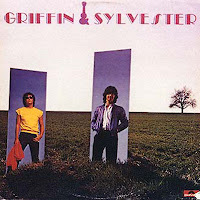 "Griffin & Slyvester" featured former Bread co-founder Jimmy Griffin and former Hollies vocalist Terry Sylvester. 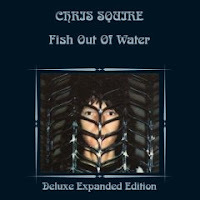 YES's Chris Squire only solo effort was titled "Fish Out Of Water." "The Breaks" on RCA Records featured talented Suzanne Jerome Taylor and Pat Taylor. Talented vocalist "Debra Dejean" had one album on Handshake Records. "Combinations" by David Beaver on TMI Records was a brilliant production but lacked promotion. 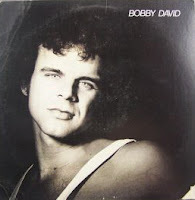 Songwriter "Bobby David's" LP on 20th Century was packed with great songs. 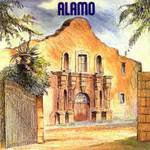 "Alamo" on Atlantic Records had great potential and was well produced. 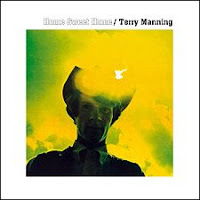 "Home Sweet Home" by Terry Manning on Enterprise (STAX) was ahead of it's time.